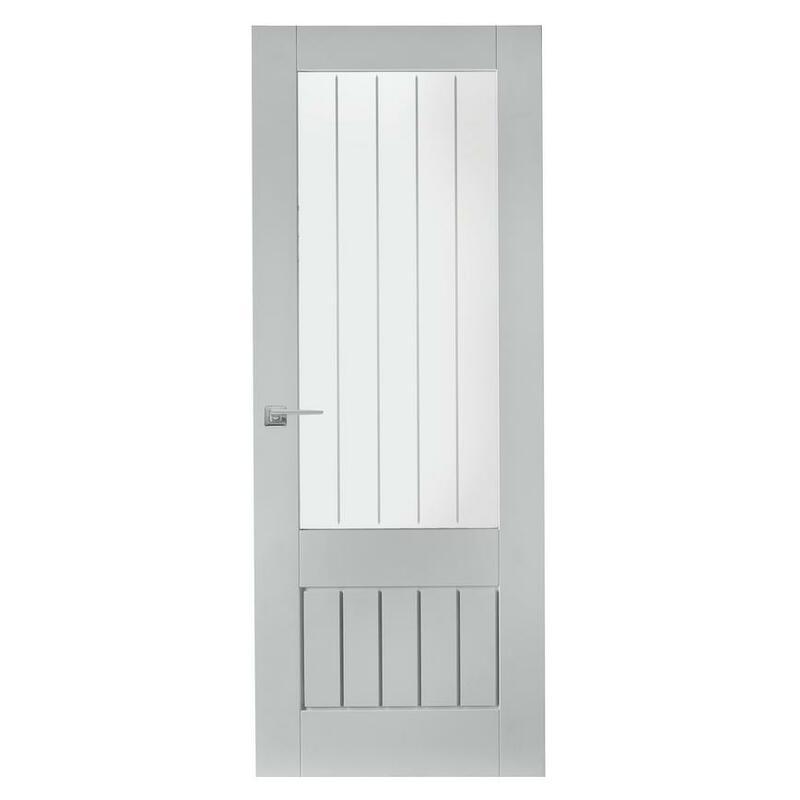 Bring in the light with the large, etched glass pane of our primed Dordogne glazed internal door. 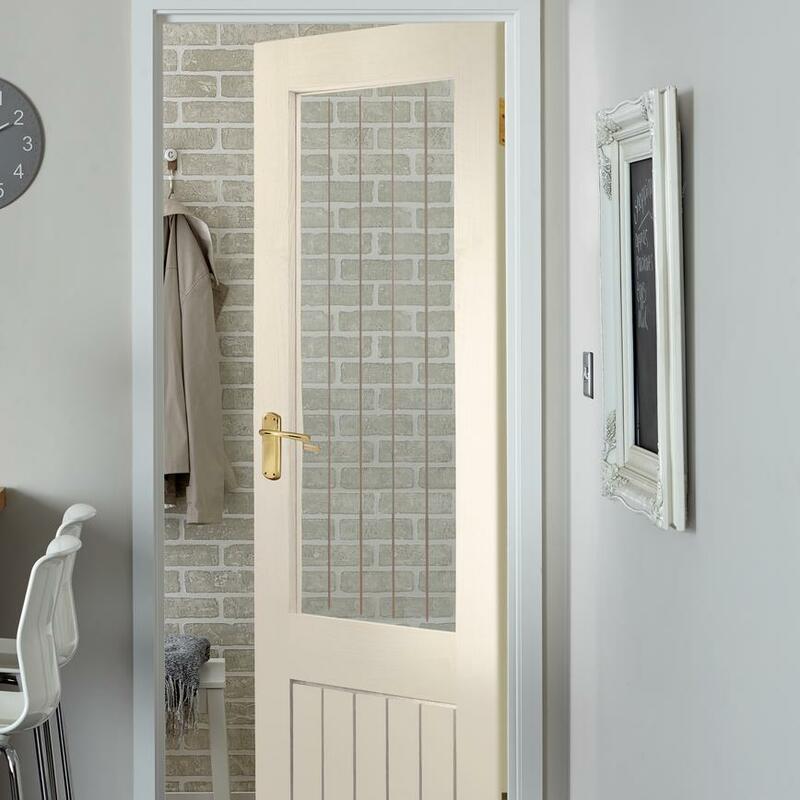 This glazed version of the Dordogne door boasts strong vertical lines etched into toughened glass. 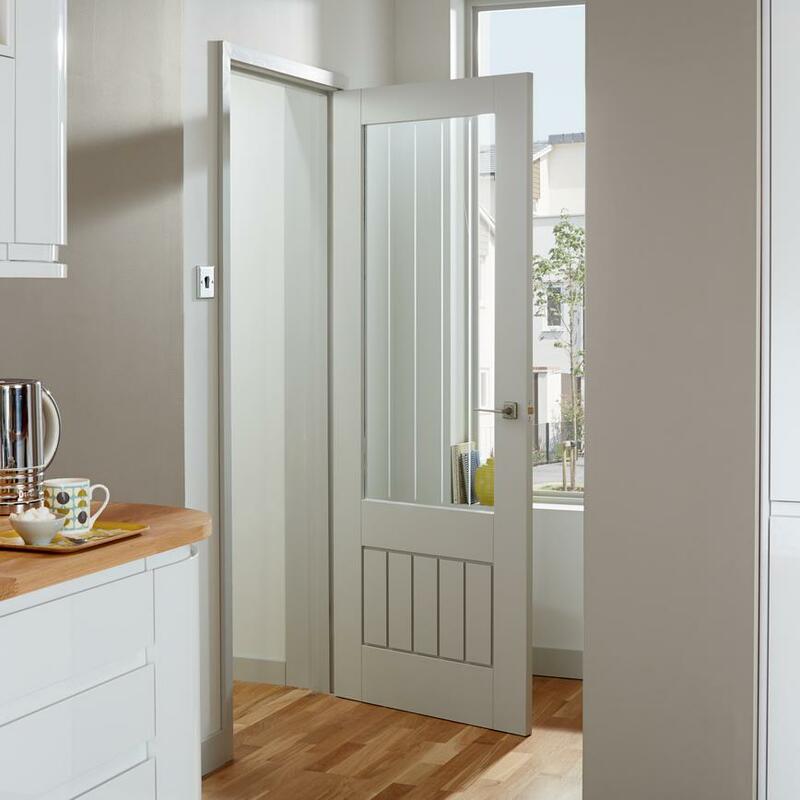 It consists of a skin on an engineered core, and arrives primed and ready to paint, with a protective film on the glass that can be removed once you have applied a colour of your choice. This door has a particleboard core which may be exposed if rebated.